This nationally acclaimed festival draws together the local community and food lovers from far and wide for a free day of food and fun to celebrate local watercress! 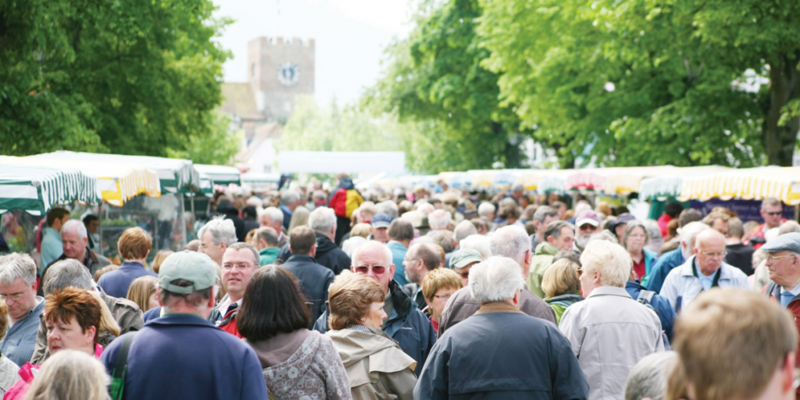 The Watercress Festival is not organised by the Mid Hants Railway; it is an independent event taking place in the streets of New Alresford. The Watercress Line is operating a free ride to and from Ropley and Alresford stations for festival goers.